The saying goes, “a journey of a thousand miles begins with a single step,” but what happens when you are traveling as a person with low vision and either you or your sighted companions are confronted by a change of travel plans? The best plan is to be as well prepared as possible. Being blind or visually impaired, it makes good sense to be organized well in advance. For example, putting clothing and other items aside a week before a trip allows you to go through your selection with plenty of time to reconsider your choices. This will minimize the stress of having to pack as well as getting caught up with those unforeseen last minute details (which often occur just before the moment of departure). While mentioning the packing phase, the traveler with a visual impairment will find it highly beneficial to consider packing with texture as a guide. By this I mean placing and grouping items in various cloth bags for quick retrieval. The texture of smaller bags containing items like bathroom accessories and clothing – like light summer tops will help to avoid the chaos that can so quickly happen when travelers arrive at their destination. By keeping order within their suitcase and the hotel room, the person with low vision retains a sense of confidence in unfamiliar territory and is more equipped to deal with a change of plans while on vacation. 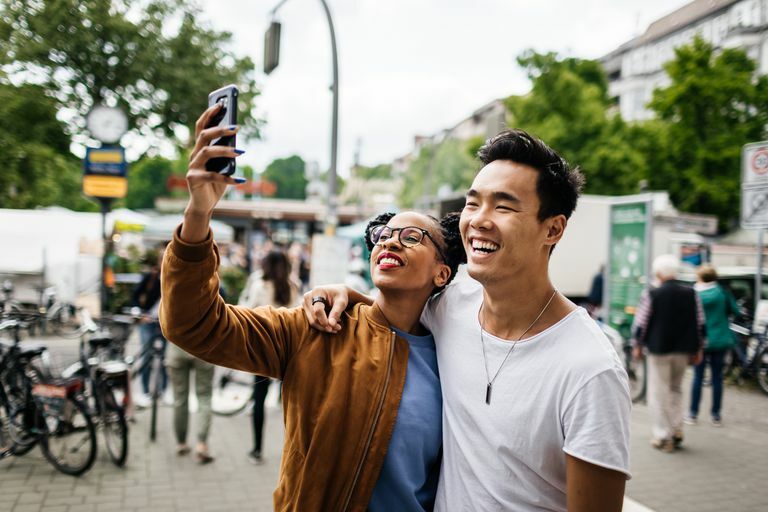 Here are more travel tips that can make all the difference between pleasure and pain when it comes to adapting to awkward situations that can arise on your next holiday. Sounds obvious but perhaps the biggest oversight most travelers make is to pack too many items of clothing, allowing for all types of weather. The fact is that often you don’t need as much as you think you do. The traveler’s wardrobe isn’t a mini reproduction of the one at home. Most often, people end up wearing the same clothes for several days purely for comfort and convenience. One reason why traveling light can ease the stress if your travel plans take a change for the worse – maybe your hotel mixed up the arrangements or the weather has caused a major delay in plane travel – is that a lighter load makes you and your travel companions more flexible by not having so much baggage to drag around. A person with low vision who is setting off on a journey of any kind may find it useful to pack an empty water bottle that is highly tactile or recognizable. Brightly colored flasks are good or you can tie a band of some kind (like a colorful hair-band) that will help you locate it quickly. And if you happen to misplace it, be prepared. Take a couple of spare colored bands with you and buy an ordinary water bottle and tie it on securely. This will give you the peace of mind of always knowing you are drinking from your own bottle and not accidentally picking up a bottle belonging to someone else by mistake. Problem-solving is one of the unexpected ‘delights’ of traveling. It is also a daily task for those living with a visual disability. When people can start their day feeling comfortable, physically and emotionally, they will definitely be in a better condition to problem solve if something arises out of the blue. From my own travel experience, I have noticed that when my family was feeling comfortable, well fed and well rested, we were able to meet a change of plans more effectively. In order to help us deal with a setback, we started the day with a good breakfast. Sometimes we took our own breakfast cereals and, at other times, we made time for a good feed at a local cafe. The simple solution, therefore, is to start the day "right" by giving yourself good food, good rest, and plenty of time to enjoy another touring day. Traveling can push anyone out of their comfort zone. This is a daily challenge for those living with a visual disability so it is more important than ever when traveling to distant shores to have a familiar item that will make your life easier when away from home. If there is one small comfort you can squeeze into your baggage allowance, do take it with you. For me, it is having a real cup of coffee in the morning. This is not always possible when I am traveling so, to avoid compromising my morning experience, I pack my very own portable coffee plunger (and ground coffee) and make it myself! This saves time waiting for my companions to get up and begin another touring day while I retain a sense of independence in looking after my needs. The more persons with low vision can do for themselves during travel, the more they will enjoy the overall experience. Consider what this "must have" travel item is for you and make it the first thing to pack! Even though these next tips are useful for any world traveler, I have found them to be particularly helpful in retaining a sense of order, independence and to minimize travel stress. As soon as possible, find a store to purchase snacks like nuts, muesli bars, local fruit, and other health foods. Having these at your fingertips will help you go the distance when touring. They give you a boost of extra stamina that keeps your emotions under control and avoids the need and expense of having to go on long searches for open eateries. As long as you are prepared, it will be more helpful for the person with low vision to consider getting lost as a temporary detour rather than a setback. Often detours can lead to some of your most unexpected treats and memorable travel moments. If you are using a mobility aid, such as a white cane or a guide dog, people are often very happy to help if they know you are lost. Sometimes, a person who is blind or visually impaired and is well adapted to traveling independently can appear so confident that no one comes up to inquire if they need assistance. If you feel you are getting lost, try asking for sighted assistance and remember there are often professional staff who are most happy to help.